Neutrophils. 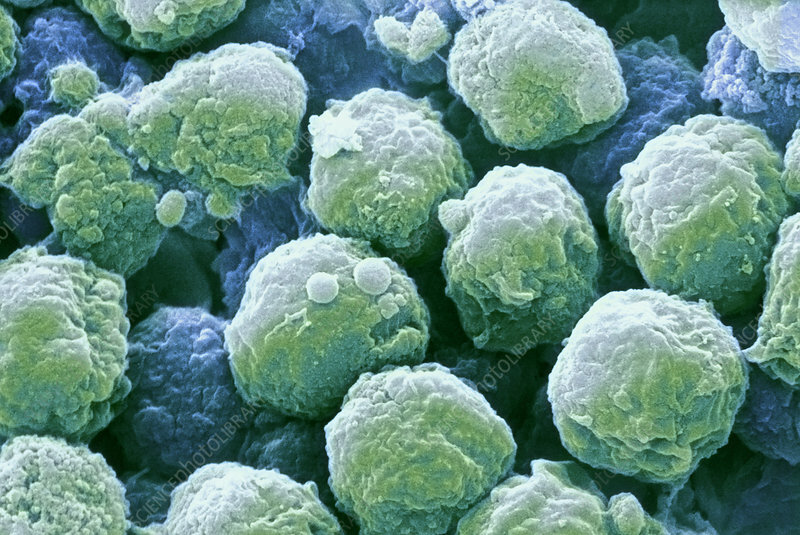 Coloured scanning electron micrograph (SEM) of neutrophils, a type of white blood cell (leucocyte). These cells are phagocytic, in that they engulf and digest materials from their surroundings. These cells contain enzymes that are used to digest invading bacteria. They are highly mobile, migrating to areas of tissue damage within the body. Magnification: x2500 at 6x7cm size.